With 55 years of combined experience in the industry, the staff at Save-On Septic Services remains your go-to experts for commercial and residential septic system work. Our family-owned business handles the design, installation, repairs and maintenance on systems for customers in and around Duncan, Victoria and the Gulf Islands. Whether we’re maintaining restaurant grease traps or investigating problematic plumbing with the use of our video pipe camera technology, Save-On Septic Services aspires to be the best in the business. 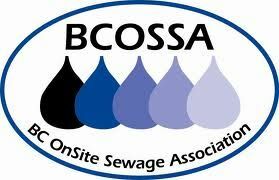 We are your one-stop shop for dependable solutions and advice for all matters related to onsite sewage. Serving the largest area of any provider on Vancouver Island, Save-On Septic Services should be your first call for the general upkeep of tanks, property inspections, and wastewater management. For qualified, courteous service, get in touch with us today at 250-474-7867!